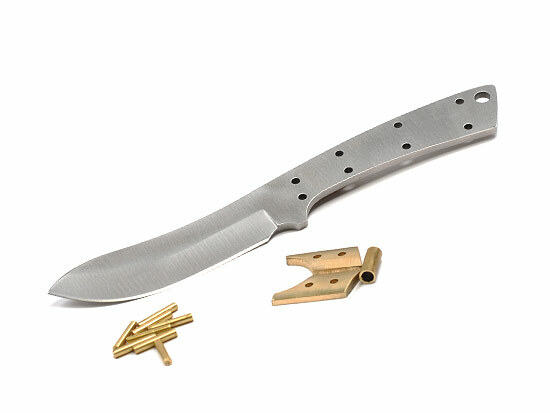 The overall length of this skinner is 7-3/4". It has a 3-3/8" satin finish blade that is 1" wide and 1/8" thick. Hollow ground and made of 440C. This blade has been CRYOGENICALLY TREATED to retain edge holding properties. Includes brass bolster and pins. Handle material not included.